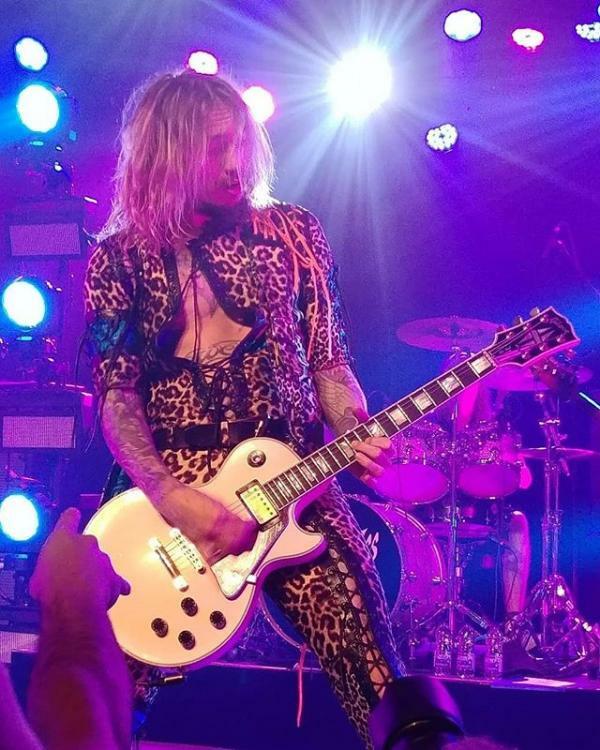 Fourteen years later, The Darkness were back in Montreal. They had been back to the city since, but only once in 2013, a show I hadn’t seen; so I was interested to see how the band would blend their old and new songs, after having weathered well over a decade of meteoric success, breakups, lineup changes, and drug problems. The opening band that night was the unfortunately named Diarrhea Planet, a six-piece from Nashville, TN, that is probably what Kvelertak would be like if they were a boring indie rock band. This may seem disparaging, but if you know how highly I regard Kvelertak, this is actually halfway decent praise. If inoffensive indie rock floats your boat, but you aren’t afraid to get your blood flowing, this is the band you should be listening to. After this, something seemed to shake loose, and as the audience relaxed into the show, the band leaned in, and over the nearly two-hour set, the night became pure rock’n’roll magic. The Darkness still sound incredible, 14 years on. Despite Hawkins’ widely publicized past issues with cocaine addiction (having famously spent over a quarter million Canadian dollars on white line fever), his falsetto is still on point, and it was a pleasure watching him trade guitar licks and solos with his brother and songwriting partner, Dan. The dynamic between the brothers remains a huge draw, with Justin’s exuberant energy and incredible magnetism balanced by Dan’s quiet charisma. The only lineup change since the 2004 show is the addition of Rufus Tiger Taylor (spawn of Queen’s Roger Taylor) on drums, and it was a pleasure to see original bass player Frankie Poullain back in the fold, in an understated gold satin suit. I have so much respect for bands that continue to value spectacle and showmanship, and The Darkness don’t just bring the musical chops—their show was everything you’d expect from a rock’n’roll band at the top of their game. From Justin’s hilarious banter, to Dan Hawkins’ custom satin Thin Lizzy bomber jacket, and Justin’s leopard-and-lamé jumpsuit with glowing orange laces, to their on-stage antics (including having Justin tour through the crowd, while playing guitar, on the shoulders of a stoic guitar tech), this is a band that understands how to possess an audience and have them eating out of the palm of their hands. Once the last note of the encore double punch of “I Believe In a Thing Called Love” and “Love on the Rocks With No Ice” had faded, the crowd filtered into the night, beaming. It has been a long time since their stellar explosion onto the rock’n’roll scene, but all these years on, The Darkness continue to shine. Angelica hosts BVST every Wednesday at 7 - 9 p.m. on CJLO. Tune in for the best (& worst) rock’n’roll, country, punk & metal!